Rocket Matter Knowledge Base Billing by Matter What does "Days since invoice was generated" mean? Use this field to specify the number of days invoices have gone unpaid when running a unpaid invoice statement. 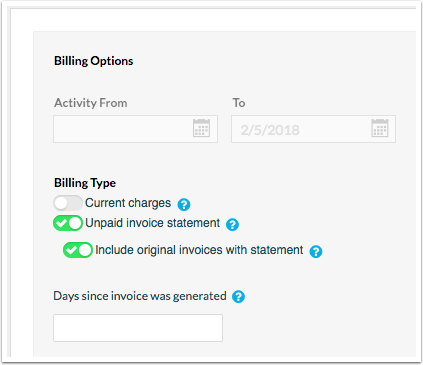 This feature allows you to re-send any unpaid invoices. Leaving this field blank will pull all invoices that have gone unpaid. Prev: How to resend an invoice.